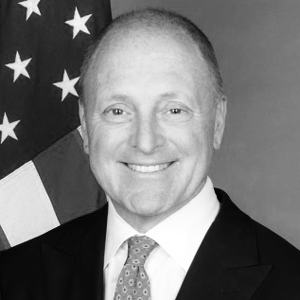 Bruce Heyman was confirmed as President Obama’s personal representative to Canada on March 12, 2014 and served in this capacity until 2017. He is a 33 year veteran of Goldman Sachs, where he served as the managing director of the Private Wealth Management Group from 1999 until December of 2013. He is married to the former Vicki Simons of Ashland, Kentucky. They have three grown children, David, Liza, and Caroline, and three grand-children, Emma, Clara, and Brooks.